On its official blog post entitled “Serious threat to the web in Italy”, Google denounced the decision of the Italian court convicting three Google executives in the country for violating Italian privacy law. The case was filed because, in 2006, a video of an autistic being bullied by his classmate was uploaded in Google video, a video sharing service by Google prior to its acquisition of You Tube. Though Google immediately removed the content, the court upholds that Google is still responsible for the violation of privacy law. Google plans to appeal the decision. They argue that European Union law gives web hosting companies a safe harbor from liability as long as they immediately remove illegal contents when informed of their existence. While Google dominates the web traffic globally, Facebook seems to get the heart of the Filipinos. Recent data from the Amazon's subsidiary company, Alexa.com shows that Facebook is the king of the internet here in the Philippines. It is currently the number one website in the country pushing search engines like Yahoo and Google on second and third places. You tube is the number one video sharing website in the world. You tube is owned by Google. As mentioned earlier, Friendster slowly declined in popularity in the country. Most of its former users have now converted to Facebook. SURPRISED BY YOUR CREDIT CARD BILL? Revisit the TOS! This article is for those who are new to credit cards and for those who do not read the terms of service of their credit card providers. Joan has been using her credit card for more than a year. She is prompt on paying her monthly bills because she was well aware of the high interest of credit cards. On one occasion, her friends requested her to buy them airline tickets with a promise that they will pay before the due date. She spends almost 15,000 pesos for the tickets. She warned her friends that if they don’t pay on time, she will impose to them the interest of the card. Malacanang has declared February 22, 2010 as a special holiday for schools. There will be no classes at all levels. This is in celebration of the First EDSA Revolution in 1986. There are interesting similarities between the Lord of the Rings movie and Avatar. Read this article to know more. Email: Should You Follow the Link? Do you always receive unexpected emails urging you to follow links to a website? You are a potential victim of PHISHING. To protect yourself against cyber crimples, educate yourself by reading this article. Facebook has grown even stronger in the recent years. It became a new venue for advertisers. PayPal recently joined Facebook as way of paying for ads and other items. Find out more on this article. Facebook has become another web giant, of course next only to Google in terms of web traffic. Recent data from Alexa.com reveals that Facebook already overtaken Yahoo.com to be the second most viewed website in the United States. Yes, Facebook has grown from being a simple social networking website to an internet giant. As an indication of its growing threat to search engines like Google and Yahoo, both search companies made several moves to incorporate social networking capabilities to their services. Google recently unveils its Google Buzz service while Yahoo had incorporated “twitter-like updates” to their infamous mail service. Even Microsoft incorporated Social Networking on its newest version of Outlook. Email is still the primary method of communicating online. We send documents, personal greetings, and even forward interesting mails to our friends. Email has been a part of our daily lives. But you need to be cautious when using your email service. The criminals have devised ingenious ways to rob you of your identity, money, and even reputation. 1. Pretend to be a "genuine" website and ask you to log in with your password and other information. 1. Both movies are out of this world. Avatar is in a distant star’s moon Pandora while Lord of the Rings is set in the world of Tolkien, the Middle Earth. 2. The main protagonists are both UNLIKELY to be a hero. Jake Sully (Worthington) is a lame ex-marine while Frodo Baggins (Wood) is a Hobbit or a Halfling, a Middle earth creature no taller than 4 ft.
3. Both movies introduced invented languages. Avatar features the Navi language while Lord of the Rings presents the Elvish language. The Navi language was created by Paul Frommer, a professor at the Marshall School of Business while the Elvish was J.R. R. Tolkien’s creation. 4. Both films ended with the coronation of a new king. Feb 22 holiday is only for schools. It means you will have to work on that day. Under Proclamation No. 1841 February 22, 2010 is declared as a special holiday in commemoration of the First EDSA Revolution in 1986. The event marks the end of the Martial law declared by the former President Ferdinand Marcos and also the time when the first woman president in the Philippines, President Corazon Aquino took her oath of office. Google Buzz: Right on My Gmail Account! 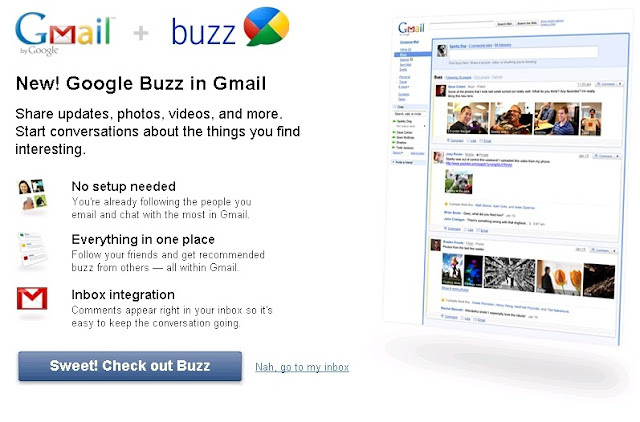 Google’s latest service, the Google Buzz finally reached my account a day after its big announcement. Actually, on the day of announcement I’ve been hitting the F5 key on my keyboard several times even though I was well aware that Buzz will not reach all Gmail accounts for a few days after the announcement date. You Tube Is Now Safer with "Safety Mode"
Google's leading web video service, You Tube unveils a new feature for keeping out contents you or your children might not opt to view. This new feature is called the "Safety Mode". It is a filtering service designed to screen out mature contents or videos that contains graphics (example: news about violence)that is not suitable to some audiences especially children. Of course, You Tube still does not allow pornographic contents. This safety feature is just an additional way to give users a measure of control over the videos they view. You can enable the safety feature right at the bottom of the video content. There is also a feature that will lock your settings on your web browser. To know more about You Tube's "Safety Mode" feature, visit You Tube's official blog or see the video below. Take PAL Survey and Win Domestic Tickets! Philippine Airlines is currently conducting an online survey with regards to the performance and usability of their website, www.philippineairlines.com. The survey is not that long; it will only take you approximately 20 minutes to answer all questions. The survey officially started last Monday, February 8, 2010 and will run until March 7, 2010. According to PAL’s official announcement, this survey aims to understand the satisfaction level of the customers using the PAL website and learn their specific needs. This survey is open to all EXCEPT employees of Philippine Airlines, its advertising/PR agencies, and its accredited service providers including their relatives up to the second degree of consanguinity or affinity. Windows 7, Microsoft’s latest version of Windows operating system has been an instant success upon its release. Just barely more than two months, it quickly got a 10% market share. It is also the fastest selling software in the history of Microsoft. Well, if you think Windows 7 is nothing more than just another bunch of “buzz”, well, think again. I have here several reasons why I believe that Windows deserves all the success it got! 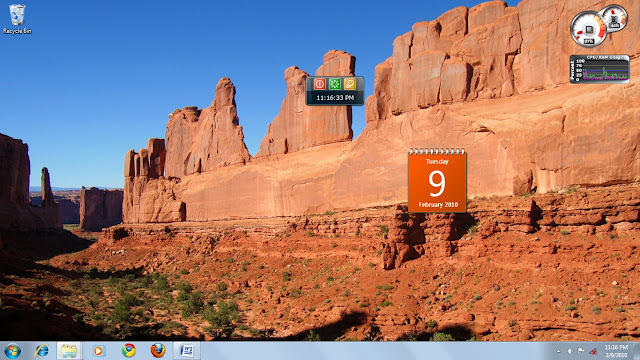 As you might’ve already heard of this from many forums and tech blogs but Windows 7 has a very fast start up time. Of course it depends on your settings and how many start-up programs you are running. But you can really perceive the significant reduction in start-up time compared to its predecessor Vista. Google Chrome and Windows 7 gains market share! Image via CrunchBase The fastest browser in town, Google Chrome has increased its usage share. Recent report from Net Applications shows the continued growth of the popularity Chrome web browser. The January report shows that Chrome already got 5.2% market share. Late last year, the browser already knocked off Apple’s Safari at third place on the browser war. Although still far from the current second placer, Firefox, and even farther from dominant Internet Explorer, if the growth will continue at the current rate it will overtake the browser leaders in the very near future. As expected, the blockbuster 3D movie by James Cameron has knocked off Titanic on its last frontier record of 600.8 Million in the US box office. The last update (February 3) from the website Box Office Mojo shows Avatar's domestic earnings to be $603,789,348 making it the highest grossing film of all time in the United States. This is $3 Million away from the 1997 record made by the gigantic ship movie Titanic (also directed by James Cameron). Considering that Avatar is only on its seventh week of opening, the 3 million-gap is expected to further increase. The release of the Oscar nominees earlier this week can be an additional fuel that would boost the movie’s earnings. It received a dominant, 9 nominations from the film Academy including best picture and best director. Way back in 1997 Titanic received a record of 14 nominations 11 of which were won. Titanic also stayed on the big screen for 10 months. Election Surveys: Are they really accurate? It’s already February and the national election (May 10, 2010)in the Philippines is looming in the horizon. The battle between the election candidates is growing red hot. And part of the heat wave comes from the surveys made by firms capable of gauging the “mood” the Filipino society. Here in the Philippines there are two firms that have quite a reputation with regards to making election surveys. These were the Social Weather Station (SWS) and Pulse Asia. But the question is: Can we really trust their surveys? Based on my personal knowledge in statistics, surveys, if done properly, can be a powerful tool in predicting the overall “mood” of the society. How was that possible? We’ll, surveys take a small part or sample of the entire population, examine its properties using statistical techniques and assumes that it represents the entire population. Last week, I decided to remove all my Adgitize advertisements on all my blogs. I have three strong (in my personal viewpoint) reasons for doing so. The first reason is that my Adgitize ads don’t earn much. This is probably the least influencing factor among the three. Since I started to participate in this advertising program last December, I only earn just a few cents. ALL these earnings came from, not on ads itself but from the articles I posted during the month. Adgitize only gave me (I don’t know for other major, high-traffic blogs) 2 cents for every posted articles on my blog. I am fully aware that to earn from Adgitize you must do more like clicking on their ads to view other blogs. This is similar to the blog advertising program called “Entrecard”. You have to visit and “drop” on members’ websites to gain points which you can use to advertise your own blog. The second reason is the server downtime last week. Avatar: Still on Top of US Box Office at its Seventh Week! It looks like Avatar have an enormous supply of fuel that keeps it soaring high on top of the US Box office for seven straight weeks now. The epic blockbuster 3D movie directed by James Cameron earned another big amount last weekend with a total income of $30 Million. It’s just a small drop compared to its sixth week earning of $36 Million. With an accumulated US domestic earning of $594,472,000, it is only a few million dollars away from shattering the last earning record of Titanic. The 1997 blockbuster movie, directed by James Cameron himself earned $ 600.8 Million in the US Box Office, the highest ever since 1997. Earlier last week, Avatar shattered the worldwide record set by Titanic and was crowned as the new highest grossing film of all time. Even earlier than that, it knocked off the record of several major movies in the US history like Dark Knight and Star Wars.